Ah, summer. 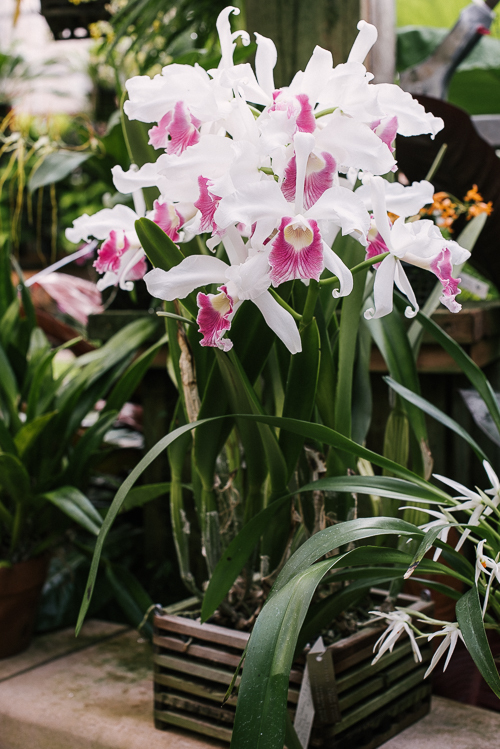 June is a terrific month to visit the Orchid Center because of the large number and variety of orchids in our permanent collection that are flowering. The Laelia purpurata varieties are the undisputed stars of this month. But there are lots of others. 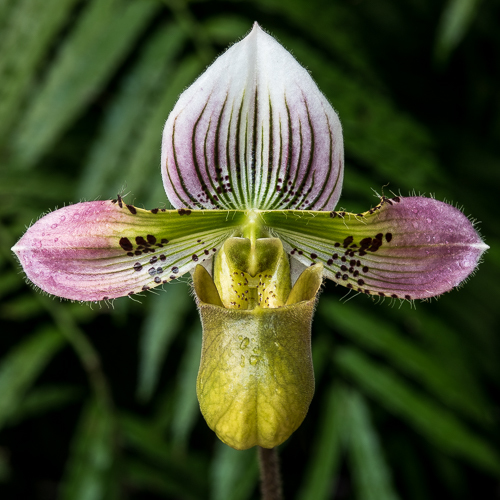 A perfectly formed Paphiopedilum acmodontum slipper fresh from its morning shower. This seedling is flowering for the first time this year. It has lovely mottled foliage. Acomontum is native to the Philippines. 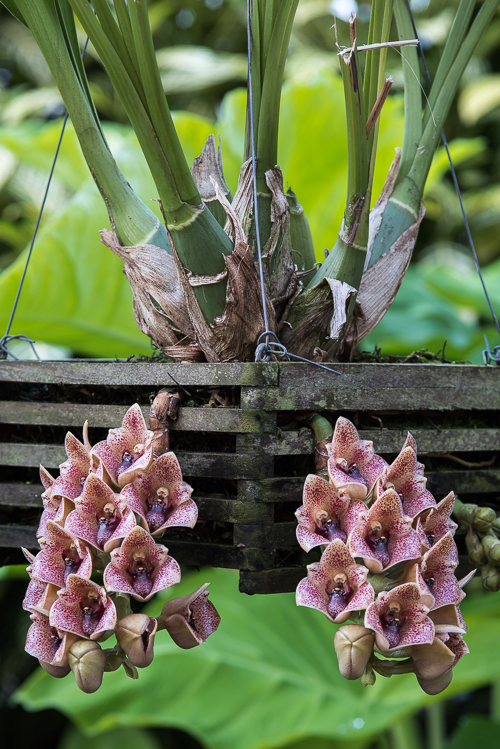 This Lycomormium species has thick waxy flowers with a sweet spicy fragrance. Pink and jade. 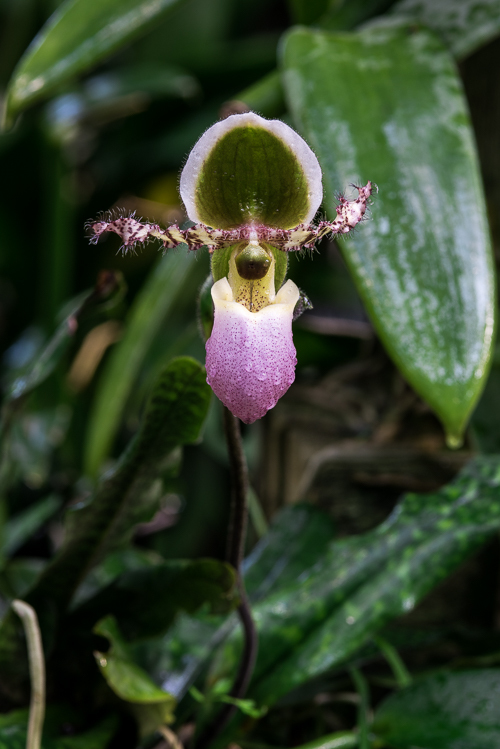 Paphiopedilum liemianum is a Sumatran species that is easy to confuse with P. chamberlainianum and P. glaucophyllum, but is immediately distinguished by its leaf margins, which have short stiff hairs. It grows on limestone at 600 to 1000 meters elevation according to Phillip Cribb. I like the balletic positioning of the petals on this plant. Lots of orchid excitement this month. Stop by and bring your camera!